Thank you for visiting my site. I'm a storyteller. In person, on film, or in book form, I listen to people's stories, and relate them to others. I research the stories of my people, and bring the relevance of their wisdom into our modern world. Fomhuireáin agus Fearaibh Uaisle: now in production. A rare and heartwarming story of WWII. Bibeanna Mheiriceá, recently rebroadcast on TG4 - thank you to all of those who responded with favourable comments. Ventry is emptying. Generations have been lost to emigration, the men of Ventry have scattered, and are still scattering all over the globe. But in recent times there has been a new and welcome phenomenon: people are moving in to Ventry. People of talent and skill, people of competence, humour and culture. The Men of Ventry television programme gives us a brief glance at some of those who have gone and at some of those who have come. Bibeanna: A series on the domestic stories of the women of West Kerry, made in 2007, with accompanying book, Bibeanna, Memories from a Corner of Ireland. Something of a cult. Do Mhargadh Déanta: Matchmaking, it surprises people to hear, was the common model of marriage in many Kerry communities up to the middle of the last century. This unique film captures the experiences of six couples in the Dingle area whose marriages were arranged - and successful. Published by Futa Fata and in the shops. It has been described as "a jewel" and "a breath of fresh air, actually". A bilingual book, bringing the wisdom of Irish folklore to a new, broad audience. Look out for the launch - coming soon! Bibeanna: Bibeanna, Memories from a Corner of Ireland, published by Mercier Press, and widely acclaimed, is now out of print. A new edition is being considered. Watch this space. 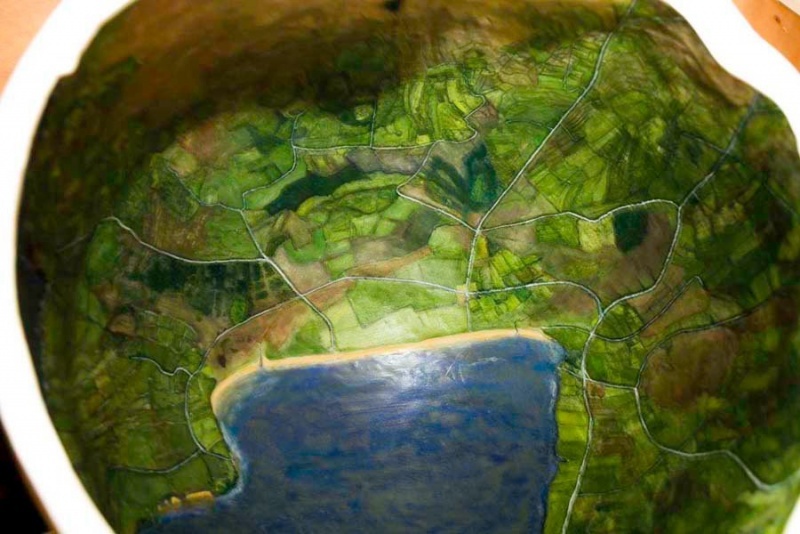 Corca Dhuibhne: A collection of the inspired Corca Dhuibhne artist, Liam O'Neill, with text assembled and selected by me. The selections are drawn from material by writers from Corca Dhuibhne, or from well-known, sometimes unexpected prominent authors (like Brendan Behan) who wrote about the peninsula. Still in preparation, a book like Bibeanna: Memories from a Corner of Ireland. Two Birthdays tells the stories of women who left Ireland for the United States in the middle of the last century. Leaving Ireland with minimal education, poor or no English language skills, and no familiarity with urban life, these women have managed enormous changes with composure and dignity. They made a success of a new life, and while remaining fundamentally Irish, they are fiercely proud citizens of the United States. Their experience both breflects and differs somewhat from that of emigrants from many countries. And I apologise to my wonderful women for the inordinate length of time their book is taking! Next on the agenda, I promise. Launch of Catalogue of Maria Simonds Gooding Retrospective Exhibition, in RHA, September 2014. University of Colorado at Denver: presentation and interaction with leadership students: May 2014. Scoláirí na Gaeilge, NYU, Iona College, 2011. Proceedings of An Blascaod san Amharcealaín, published 2014, article. 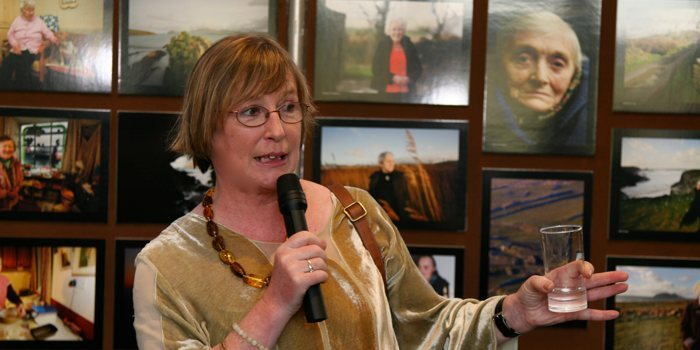 Crú Capaill, poems by Máirín Feirtéar, Launched in An Muséam. Baile an Fheirtéaraigh, 2013. 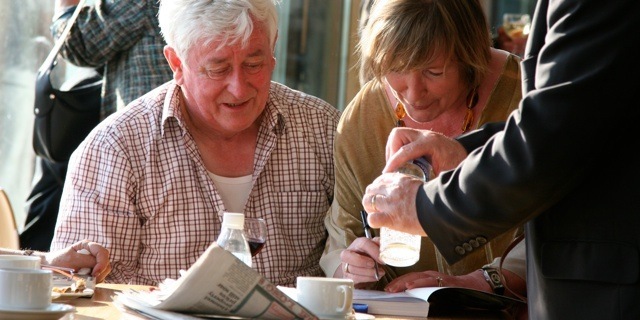 Criathar Meala, a collection of works by Corca Dhuibhne poets, launched at An Díseart, 2008.